AERATOR RYAN LAWNAIRE IV. Rentals Ft. Collins CO, Where to Rent AERATOR RYAN LAWNAIRE IV. in Ft. Collins, Wellington, Greeley, LaPorte, Loveland, Windsor CO and all of Northern Colorado. Honda 4hp Engine, comes full of gasoline. Aluminum ramps or small trailer available for an additional fee. Use the engine throttle to control the speed, raise the tines to turn. Water the Lawn prior to Aerating to soften the ground. 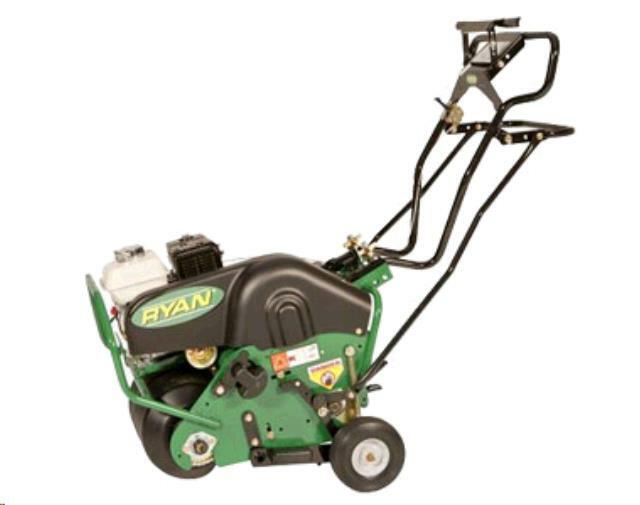 * Please call us for any questions on our aerator ryan lawnaire iv. rentals in Fort Collins, Wellington, Greeley, LaPorte, Loveland, Windsor CO and all of Northern Colorado.